All your data is transmitted securely via SSL encryption. Free, fast and discreet shipping. We accept wire transfer, Visa, MasterCard, American Express, SOFORT/Klarna, PayPal and other payment options. Questions? We are looking forward to your contact. 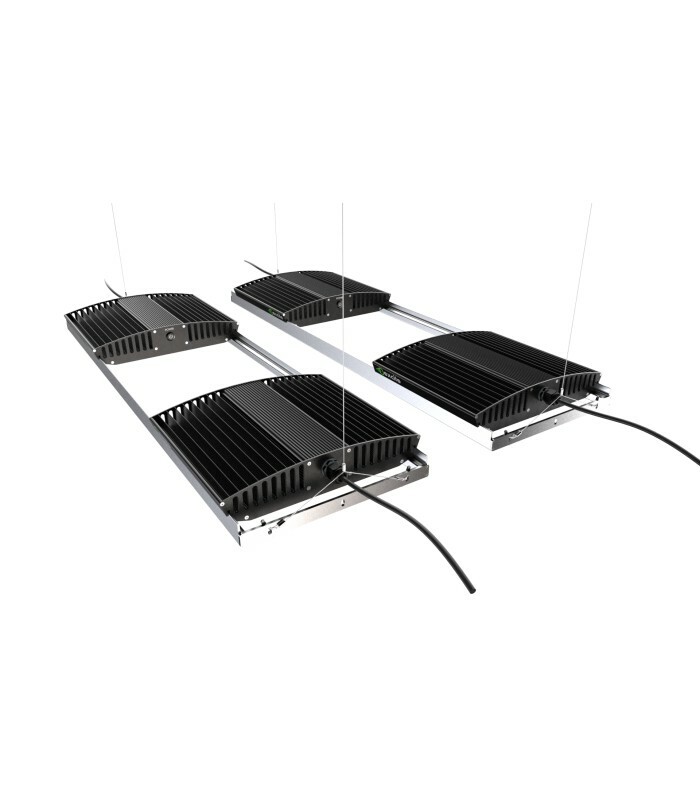 The distribution of multiple fSpectrum+ modules over the canopy ensures an even and shadow-free illumination. 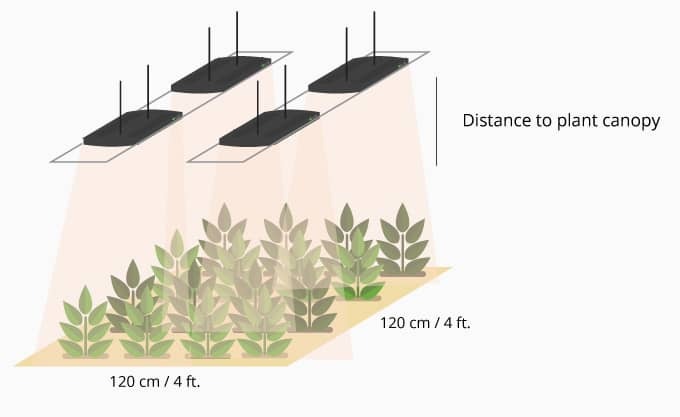 The overlapping of light beams creates a diffused light that penetrates the plants from multiple angles, reaching deep into the lower branches. The fSpectrum+ is one of the most efficient LED Grow Lights on the market, producing 35% more plant-beneficial light per watt than high-pressure sodium (HPS) while generating less than 60% heat. 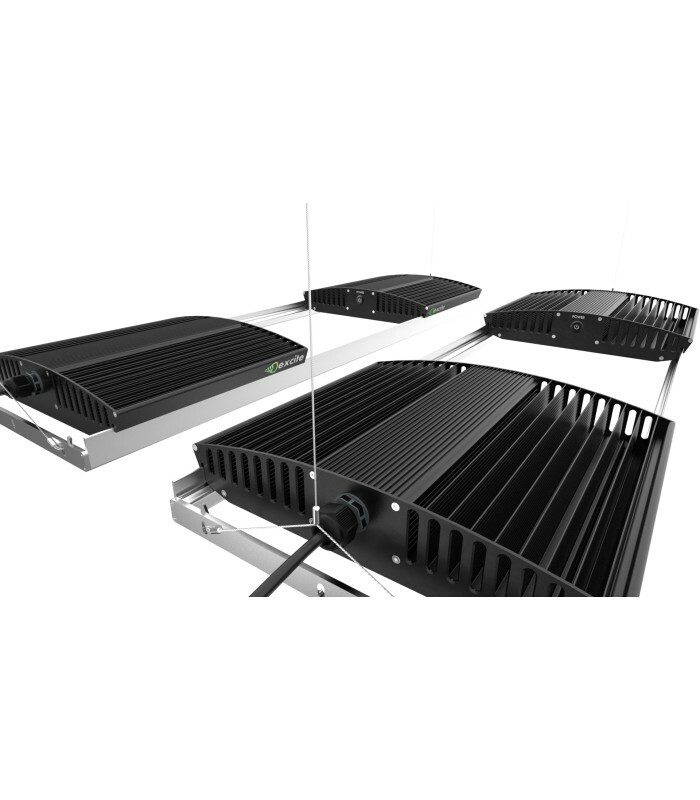 With only 500 Watts, this fSpectrum+ bundle brings an impressive number of photons to the plant canopy. 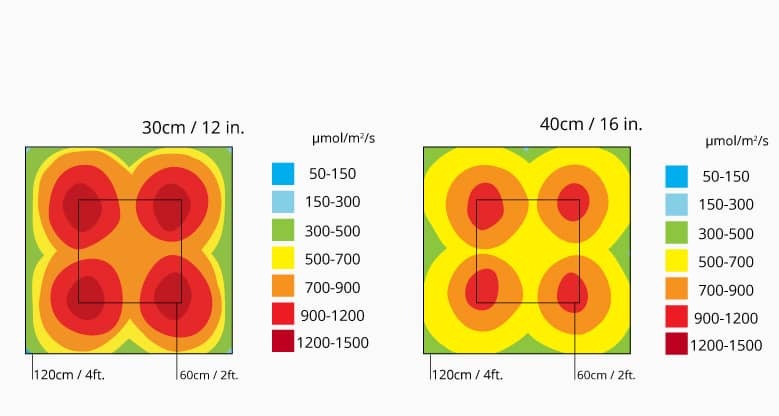 The photon flux (PPF) of 1452 μmol/s (> 2.9 PPF / Watt) provides high light intensities on the recommended illumination surface and ensures highest photosynthesis rates. 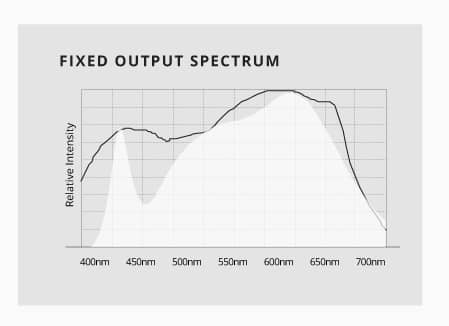 The fSpectrum series can be controlled by several industrial standard protocols (DALI, 0-10V, PWM), allowing to schedule a gentle morning rise and sun-dawn of light intensity - for minimal light stress and maximum savings. Made only from the finest components, the fSpectrum+ is a secure investment and guarantees long and maintenance-free operation. 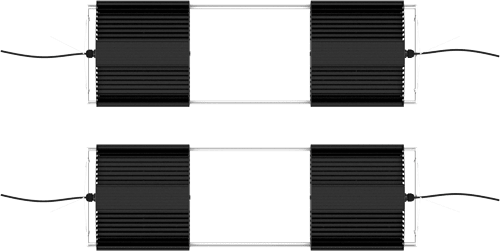 Our products are manufactured in Switzerland, where no compromises are made to the detriment of quality and efficiency. The arrangement of several fSpectrum+ modules above the plant canopy ensures a uniform as well as diffuse and shadow-free illumination. The result is homogeneous growth as well as even nutrient and water uptake: for optimum control and consistently high yields. Our grow lights contribute to energy cost savings of more than 60%. 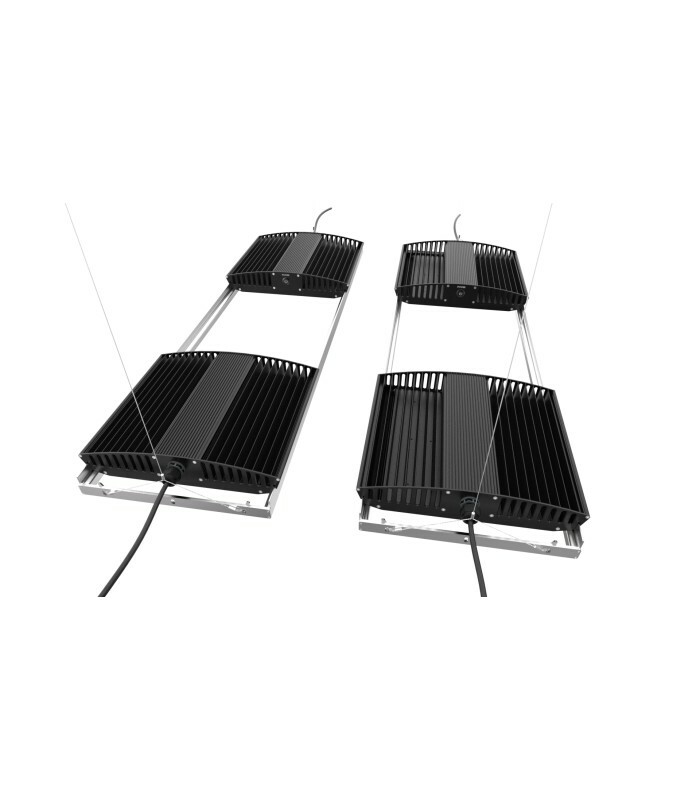 Compared to conventional luminaries, our systems generate more PAR and produce less heat, all with a longer service life and without the use of highly toxic chemicals. Even after 60.000 hours or 6 years of continuous operation, the luminosity of the fSpectrum+ will maintain up to 80%. The fSpectrum+ runs practically maintenance-free and the replacement of bulbs is a thing of the past, which is why we offer a 3-year warranty. The wide-banded output spectrum is perfectly suitable to all plant species from seed to harvest, where the spectral distribution follows the curve of the relative quantum efficiency of McCree (1972). The uncompromising intensity of the warm white light provides a balanced mix of all spectral colours for strong stem formation and bushy growth with short internodal spacing in the vegetative phase and sturdy fruiting branches with high yields in the generative phase.